iEARN Global Learning Circles are highly interactive, project-based partnerships among a small number of schools located throughout the world. There are two sessions each year, September - January and January - May. To join iEARN Learning Circles, you must first be a member of iEARN and register in the iEARN Collaboration Centre two weeks before the beginning of the session. Once you complete the placement form you will be placed in a Circle for the next session. The Teachers' Guide to Learning Circles (Revised 2015), by Margaret Riel provides detailed descriptions of Learning Circles and includes many suggestions on how to structure cross-classroom collaborations in your classrooms. More information is available at Online Learning Circles. We have prepared a Frequently Asked Questions page as well as many handouts and presentation materials about the iEARN international Learning Circles project. The January to May 2019 Learning Circles is now active Students and teachers are currently exchanging student work and preparing their Final Projects/Presentations. The project will continue through May. The next session of iEARN Global Learning Circles will begin on September 30, 2019. Registration will begin in early August. For more information, please contact Barry Kramer at [email protected]. Recent Learning Circles presentations at the iEARN Conference in Winchester, Virginia, USA in July, 2018. Below are the Conference Presentation Slides and handouts. iEARN Global Learning Circles Global Education Leadership Conference Presentation. Click here to download the PowerPoint used in the presentation. You can listen to the presentation and view the slides on YouTube. Global Teenager Network Event 2003: Finding improvements together! iEARN Global Learning Circles has been a long running project that has facilitated Internet and communication technology collaborative project-based learning among classrooms is diverse regions of the world since 1994. Twice a year (September and January) as many as 80 to 100 classrooms are connected in interactive Circles for the purpose of online project work. The result is authentic student work and true international collaboration. Learning Circles have also been taking place for 11 years in French and English as a part of the Global Teenagers Project a project of the International Institute of Communication and Development. In the March 2003 session, they had 170 classes from 90 secondary schools from 21 counties in Europe, Africa, Central and South America, and the Near East. Student circle interaction can be read from the Virtual Classroom. There is a modified version of the Learning Circle Teachers Guide in French, Spanish, and English. In Mexico, Círculos de Aprendizaje (in Spanish) were organized organized by Carlos Mart’nez from Monterrey, Mexico (originally organized by Jorge H. Gutiérrez). The Learning Circle Teacher Guide is available in Spanish. Another project that uses some aspects of the Learning Circle structure and guide is the Friends and Flags Project dedicated to multicultural education. In 2002-2003, Learning Circles were used to connect researchers. Each year since 2002 Learning Circles have been used by graduate students to support and organize action research as part of their online Masters of Arts degree program in Educational Technology at Pepperdine University. For more information contact Margaret Riel at mailto:[email protected]. Begins September 30, 2018 and ends on January 15, 2019 (16 weeks with a 1-week break in December). Begins January 30, 2019 and ends on May 25, 2019 (16 weeks with a 1-week break in April). The first edition of CIRCLE NEWS will be posted to all participants announcing the beginning of the "Getting Ready" Phase. This first phase is one week and it involves testing accounts, and reviewing the Learning Circle Timeline and reading the Learning Circle Teacher's Guide. The next Circle News message will "open the Circle." Circle News 2 formally opens the Learning Circle session and will contain the names and addresses of the classes that have been placed in each Learning Circle. It invites the teachers and students to begin introductory activities. After teachers and students find out about each other through letters and a class survey, the activity shifts to planning the Circle projects which are drawn from the curriculum of each classroom related to the Circle theme.To understand more about Learning Circles, read the first section of the Learning Circle Teacher's Guide and look over the "Teacher Comments" at the end of each section of the Teacher's Guide.EARN members can participate in one Learning Circle each session without any additional cost. You must be a member of iEARN to participate, and you need to complete the Learning Circle Placement Form 2 weeks prior to the start of a session. Placement forms can be submitted in any time prior to two week before the Learning Circle Session. Late forms are sometimes accepted during the two weeks prior to the start of Learning Circles if there is space in a specific Circle. Applications received after October 1st will be considered for the next session. 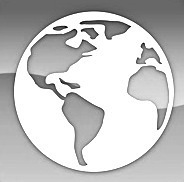 Places and Perspectives - Places and Perspectives encourages students to explore regional history, culture, government, and geography by sharing their knowledge with people from different locations. The goal is to help students understand how historical events and geographic conditions interact to help shape their lives and gives them a deeper understanding of themselves, their families and their communities. Each classroom sponsors a project for a section in the Places and Perspectives Review. For instance, a classroom might sponsor a section on local legends, interview native inhabitants or the elderly, describe the historical attractions of the area, examine local constitutions, or compare weather patterns, map studies. MindWorks - MindWorks is a writing theme designed to enhance creative and expository writing as well as develop different forms of self-expression. The goal is to help student learn how to communication their thoughts and feelings in writing, then share and compare them with other students from distant places. The Circle publication for Mind Works is a literary magazine that might be called Creative Minds, Mind Works or a name selected by the group. The sponsored projects could be a specific form of writing such as: personal narratives, place poetry, city dialogs, school fables, local myths or personifications of local products. Or students can select a topic to sponsor and request different forms of expression on subjects like the family, jobs, schools or cities. My Hero: A Call To Action - An advanced level multi-media project for teachers and students who are interested in putting the principles of the My Hero project into action. 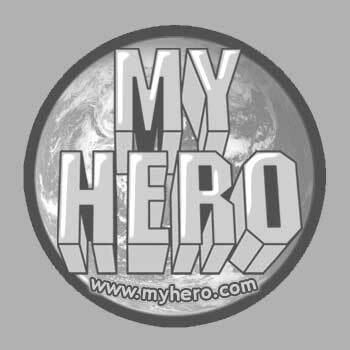 Students and teachers will explore the use of the My Hero Multi-media Page while supporting a hero or organization in their communities. Several ONLINE training sessions from the MY HERO team will be scheduled. Global Issues - Global Issues encourages students to discuss a broad range of educational, environmental, social, political, and economic issues with concern on how they affect the Earth's entire population. Projects focus on identifying and developing solutions for the countless issues that face the Earth's inhabitants. This curriculum encompasses many subject areas including sociology, science, government, history, and economics. My City and Me - A social, cultural and environmental project that encourages students to explore what they can do to improve their life in the place they live, so they can be active members of their communities. Through online discussions and collaborative project work, students learn, share, and create projects about local governments, culture, society, and the environment. 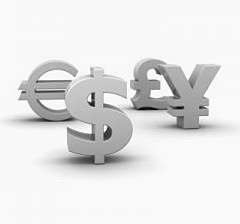 Money Matters - Money Matters is a project where students will be able to get into conversation about money, learn some facts about history of money and about money in other countries, discuss students’ pocket money and proverbs about money, make media products about money. The Bat-Chen Diaries - A Circle based on the children’s book the Bat-Chen Diaries that focuses on the theme: "For Me, Writing is Something Awesome." The purpose of the Circle is to expose children to the values of writing a diary; to encourage young children to write in a reflective and personal manner and express their anxieties, fears and concerns as well as their hopes and dreams - hopefully this will lead to getting acquainted with others. Part of the process includes creating "Dream Circles” where children share similar dreams from all over the world. The Final Publication for this project will be a joint publication called a pupils' "Book of Dreams"
Our Rivers, Our World - This Learning Circle encourages students to explore the role their local rivers play in their daily lives. They will learn about the historical and present day uses for the rivers, the river life, and the quality of the water. Students will share their findings through writing, photos and videos that they create throughout the project. Culture In A Box - Have you ever thought how hard it might be to put your culture in a box? What items would you include? Newspapers, advertisements, letters, photographs, tourist souvenirs? Learning Circles has a new project called Culture in a Box. Participants in this project will collect items that represent their culture and create up to 4 individual boxes. The boxes will them be exchange between partner schools. Participants will have the challenge of filling their boxes but also the pleasure of receiving a box from another culture. Please note that there is cost associated with mailing the boxes. If you are unable to cover the costs of postage please let us know and perhaps we could arrange an alternative way to participate in this cultural exchange. At the end of the project, participants will post pictures of the box exchange process, both the preparing of their boxes and the opening of the shared boxes. Students will also be required to write a brief reflection the impact the project had on their understanding of their own culture and that of others. My School: Elementary - This is a 10-week Learning Circle for elementary school students (Grades K - 5) which allows students to present information about their classroom and their school. Participants may choose to write stories, take photographs, prepare multi-media presentation, create video, or use other media formats to share and highlight information about their school. Each participating class will complete a class survey and project. Teacher Sponsored Themes - Teachers are invited to sponsor a theme for a Learning Circle. We will list it in this space to help create this special Circle. If you would like to facilitate a special theme Learning Circle, send information to [email protected]. These forums are like classrooms. You need an active iEARN login name and password to access the forums online. They are intended for use by the students and teachers who are part of the Learning Circle. They are private spaces for the work of teaching and learning. We hope to be posting excerpts of student publications soon. These forums are listed here to make it easy for those who are members of a Learning Circle to use this web page to interact with their Circle partners. If you want to be a part of a Learning Circle, you are most welcome but first need to be a member of iEARN. If you want to know more about these Learning Circle themes, click on a theme icon. Most teachers have been working with their students to put their section of the publication, their Learning Circle Projects on the Web. We are also beginning to have complete Circle publications online. Each Finished Project Page features all the work that was created by students and teachers during one Learning Circles session. Congratulations to the students and teachers of the following Learning Circles for creating online Learning Circle Publications! Also please visit the Learning Circle Projects which are individual school's contribution to their Learning Circle Publication. To help schools create online publications, we have created some templates and graphics that can be used to help create your web page documents. For each type of Learning Circle there are two templates. One is the index with the list of schools and the name of the projects. The second is a project or section template to be used for projects or sections created by each school. Copy the source code and the graphics and use any html editor to modify for your Learning Circle Templates. Teachers log on to iEARN, receive Circle News and read the Teacher's Guide. They introduce the concept of Learning Circles to their students. Learning Circle Placements are sent on September 30th. Learning Circle interaction begins. Classes log on and respond to the Electronic Roll Call. 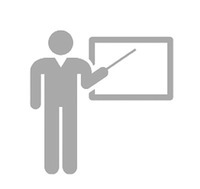 Each teacher sends an introductory message to the on-line Learning Circle forum. Teachers and students prepare and send their responses to the Classroom Survey. Welcome Packs are mailed to postal addresses. Teachers in the Learning Circle discuss the projects proposed in the Classroom Survey. Each class selects a section to sponsor. The class sends a message to the forum describing the information it would like to receive. Student work on different projects is collected and sent to the Learning Circle forum at least once or twice a week. Teachers and students continue to plan and share work related to the Learning Circle projects. (Most groups will be out of school for at least a week during this period, the circle continues with those who are in school). Students evaluate, select, and edit the articles they received for their project. Teachers work with students in their classroom to layout and print their section of the Circle publication. Schools exchange project reports (electronically or via postal mail) and assemble their Circle publication. Teachers and students send their final good-bye messages to the forum and the Learning Circle closes. The Christmas Break is used as time for mailing sections to the schools with the final comments and good-byes taking place when many students return to school in Jan. The list will still be active for a week after the end of Learning Circles to make sure all final messages are received. Teachers log on to iEARN, receive Circle News and read the Teacher's Guide. They introduce the concept of Learning Circles to their students. Learning Circles Placements are sent on January 30th. Teachers and students send their final good-bye messages to the forum and the Learning Circle closes. The list will still be active for a few weeks after the end of Learning Circles to make sure all final messages are received.